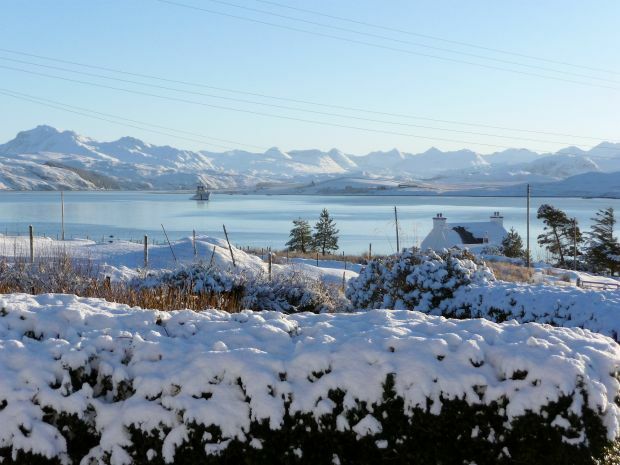 Our guests regularly ask us: what is it like up here in the winter? So, we thought we would show you! The photos in this section were all taken in the winter of 2009/2010. In truth it is unusual for us to get so much snow for quite so long here on the West Coast but when it does come the results are truly stunning. 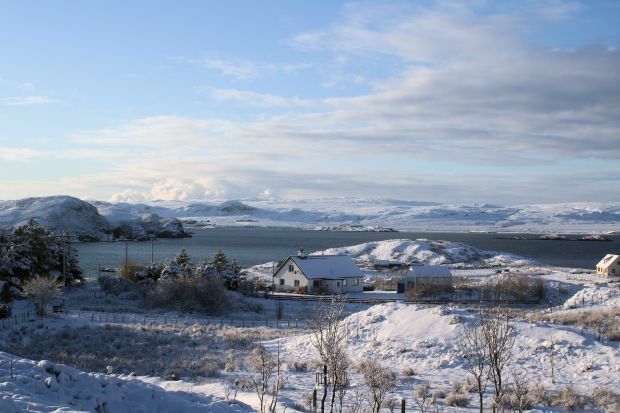 A winter view of Tranquility Bed and Breakfast with Loch Ewe in the background. A tranquil winter scene at Tranquility B and B! 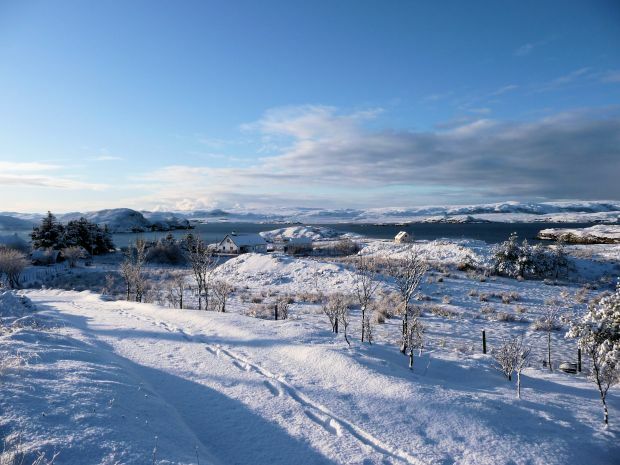 Snow and ice in Wester Ross, looking across Loch Ewe towards the Torridon Hills.